GRC Board Of Directors Election Starts Today! Renew Your GRC Membership For 2013! UK Energy Secretary Ed Davey Wednesday said "we are on the cusp of a renaissance in British energy" after unveiling the government's long-awaited Energy Bill (PDF). Earlier he had told Parliament that “the UK is open for energy investment”. “The Energy Bill will attract investment to bring about a once-in-a-generation transformation of our electricity market, moving from predominantly a fossil-fuel to a diverse low-carbon generation mix. The American Council on Renewable Energy (ACORE) recently published a guide outlining the status of renewable energy on a state-by-state level. The report, titled “Renewable Energy in the 50 States (PDF),” can be downloaded for free on the ACORE website. Each state has a two-page spread in the guide, which includes information on installed capacity, the state market, economic development, and state policies. Regarding installed capacity, the guide provides numbers for a variety of renewable energy types, including biomass power, biodiesel, ethanol, ocean, hydropower, geothermal, concentrated solar thermal, solar photovoltaic, and wind. The world’s second largest cap-and-trade program holds its first auction. California regulators last week claimed a landmark achievement in the implementation of the state's ambitious but controversial AB32 climate legislation with the release of the results from its first carbon auction. 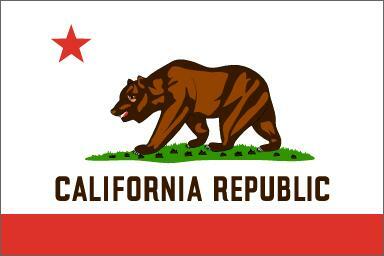 The California Air Resources Board has been developing regulations for the world's second largest cap and trade program to help the state reduce CO2 emissions to 1990 levels by 2020. In the first phase, electric utilities, refiners and heavy industries emitting more than 25,000 tons of CO2 per year will be capped. From 2015, suppliers of liquid fuels and natural gas will be included in the cap of 394.5 million tons of CO2. CARB's cap-and-trade program has so far withstood repeated challenges by the oil industry, environmentalists and intervention from the Federal Energy Regulatory Commission over concerns about electricity imports. Mary Nichols, CARB chairwoman, insisted that she was "delighted" with the results of the auction. "The goal was to have a competitive bidding process and get the allowances to the people who needed them, and we were extremely successful in doing that." Address to shareholders by Mr Keith Spence, at Geodynamics Limited’s Annual General Meeting in Brisbane on 29 November 2012. This is my second Annual General Meeting as your Chairman and it is a pleasure to have the opportunity to address you this evening on Company progress. 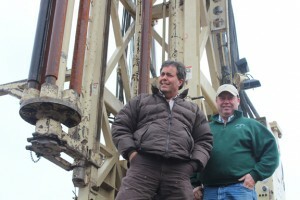 2012 marks the turnaround in Geodynamics’ recent fortunes. It has been a strong year for the Company with the renewal of our operational program at Habanero and the acquisition of new projects to complement our Cooper Basin program, excellent safety performance, demonstrated cost reductions and a strengthened financial position. It is particularly pleasing to report that we have made material progress with our Cooper Basin Deeps EGS Project. The key operational highlight and first milestone of our current field program is the successful drilling and completion of Habanero 4, the most technically challenging well to have been drilled in Australia in 2012. Given the extreme temperatures and pressures encountered drilling the well, it is very pleasing that Habanero 4 was drilled safely, with no lost time injuries, and with minimal impact on the local community and environment. The Jamaican Office of Utilities Regulation has invited interested entities to submit proposals for the supply of one or more plants of varying configurations greater than 100 kW and up to 115 MW of renewable generating capacity to the national grid on a Build Own and Operate (BOO) basis. Proposals must be submitted by 3:00 p.m. Eastern Standard Time (EST) on Tuesday April 2, 2013. Jim is the fields operation manager of GeothermEx Incoporated (A Schlumberger Company). He has been involved in geothermal research and during the lecture encouraged more researchers to venture into geothermal energy utilization. The Hawaii Electric Light Co. has unveiled a draft plan to add 50 MWe of geothermal power to the main island's electric grid. The utility will seek public comment on the draft to help guide renewable energy developers as they prepare their bids to supply geothermal power to HELCO. The technical conference webinar is confirmed for Wednesday, December 5, 2012, 9:00 a.m. to 11:00 a.m., Hawaii Standard Time. Interested parties must register by noon December 4, 2012 to attend. Click on this link to register and follow the directions on the Registration Page. The utility said a final draft of the document will be completed by January, and selection of the winning bidder or bidders is expected to occur next summer. Two geothermal companies were awarded the Official Seal of Approval by the Philippines Department of Environment and Natural Resources for their efforts in incorporating green policies across their business platforms to help protect the environment, officials said on Thursday. The winners include Green Core Geothermal, Inc.-Tongonan Geothermal Power Plant and Energy Development Corp.’s geothermal power fields in Kidapawan City and Leyte province. “The [winners] were chosen because of their exemplary environmental performance and for going beyond mere compliance with existing environmental laws and regulations,” Environment Secretary Ramon Paje said in a statement. All the winners have not faced a single complaint at the DENR’s Pollution Adjudication Board in the past three years. As a reward, the DENR will relax its rules on the submission requirements for reports, automatically extend the validity of permits, and ease procedures in securing environmental compliance certificates for their expansion projects, Paje said. Mitsubishi Heavy Industries Ltd. and Hitachi Ltd. said Thursday they will merge their thermal power generation and other power production businesses to boost competitiveness in the global market amid growing demand. The two companies plan to consolidate their thermal power operation into a new company to be established in January 2014. The new company will be owned 65 percent by Mitsubishi Heavy and 35 percent by Hitachi, they said in a statement. The operations to be merged include geothermal generation and their fuel battery business, with combined sales of about 1.1 trillion yen, they said. The move comes as demand for thermal power generation is increasing in emerging markets including China. The two companies said they will pursue synergy effects as Mitsubishi Heavy has strength in Southeast Asia and the Middle East, while Hitachi is strong in Europe and Africa. The December issue of POWER magazine has a cover story on top power plants around the world. Included is the world's first geothermal/solar hybrid plant. The Stillwater hybrid facility, owned and operated by Enel Green Power North America, is the world’s first renewable energy project that pairs geothermal power’s baseload generation capacity with solar power’s peak capacity. Inaugurated in May, the 26 MWe solar plant is integrated with the adjacent 33 MWe geothermal plant, which began operations in 2009, and provides energy to run the geothermal plant’s auxiliary loads. Combining the best of two renewable energy technologies, the Stillwater hybrid facility balances the continuous generation capacity of geothermal energy with the peak capacity of solar energy. The new solar plant’s photovoltaic (PV) panels cover 240 acres next to a geothermal plant in Churchill County, Nevada. 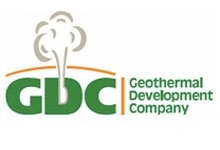 The Geothermal Development Company Limited (GDC) has invited sealed tenders form eligible candidates for provision of Top – Holing drilling services for twenty (20) geothermal wells in the Menengai Geothermal field in Kenya. The President of Costa Rica, Laura Chincilla, has signed a decree that will allow a public interest investigation into the potential development of a geothermal project at the Rincon de la Vieja National Park in the Cordilleara de Guanacaste, 140 kilometeres west of San Jose. “Costa Rica needs to generate energy with clean renewable sources, including geothermal, and no better than the ICE to investigate the feasibility of a possible sustainable power generation from geothermal energy in the Rincon de la Vieja Volcano,” said Minister of Environment and Energy, René Castro. Studies conducted by ICE in the area since 2005 have established the existence of a potential energy that results from any interest in developing, to meet the energy demand of Costa Rica in the future. The Icelandic consulting firm Mannvit and its German partner Geothermie Neubrandenburg GmbH (GTN) recently opened an office in Berlin, which will serve as Mannvit's headquarters in Germany. This expansion will extend their network as German and Icelandic market leaders in the field of deep geothermal energy utilization. After almost 10 years at the helm of energy firm Kenya Electricity Generating Company (KenGen), Managing Director and GRC member Eddy Njoroge has resigned. He joined the power generator in 2003 and was to end his contract with the company in 2015, after the Board of Directors extended his contract by five years in 2010. Njoroge gave his resignation speech on Wednesday at KenGen's Annual General Meeting and said after serving the company for nearly a decade, this was the fitting time to step down. "I believe that 10 years is sufficient time for one to make a difference in an institution. Yes, KenGen has had its challenges but as some of you know, I thrive on challenges particularly when they are of service to the nation. Although my exit will bring about a change in leadership, I am pleased to let you know that we are well prepared for transition," he noted. Glasshouse horticulturist Hartman based in Friesland, Netherlands, will start construction next year of the, until now, deepest geothermal heat source in the Netherlands. The plan is that the source at a depth of 3 kilometers, will start producing at the end of next year. A number of other Frisian growers and a few Frisian municipalities are thinking about investing in the building of heat nets. Horticulturist Hartman will use the 100 degrees centigrade water, to heat 28 HA of glasshouses of tomatoes, cucumbers and peppers. A northern Indian agency is setting up its first geothermal power project in Ladakh, a region of Jammu and Kashmir, Union Minister for New and Renewable Energy Farooq Abdullah said today. "We are working on that. Our first project on geothermal with a capacity of 3 MWe is coming up near Ladakh," Abdullah told reporters here. Noting that it is one of the major geothermal-based projects in the world, he said the Ministry will look at how such projects can be extended to other states. Public Service Co. of New Mexico (PNM), New Mexico's largest electric utility, has issued a request for proposals (RFP) for renewable energy projects that will decrease its dependence on fossil fuels and help the company meet state renewable energy mandates. PNM seeks multiple proposals for wind, solar, hydropower, geothermal and bio-fuel generation that can be available no later than 2015. Beginning in 2015, PNM requires a total of 375,000 MWh of new qualifying renewable energy per year supplied through company-owned projects, power purchase agreements or through purchases of renewable energy certificates from other renewable generators in New Mexico. Currently, New Mexico requires PNM to have a renewable energy portfolio that equals 10% of its retail energy sales - a goal PNM will achieve in 2013 and 2014 from a mix of solar, wind and geothermal sources and its solar distributed generation program. In 2015, the state renewable requirement increases to 15%, and to 20% by 2020. New Mexico also has a renewable resource diversity requirement of 20% solar, 20% wind, 10% non-wind/non-solar and 1.5% distributed generation (3% in 2015). 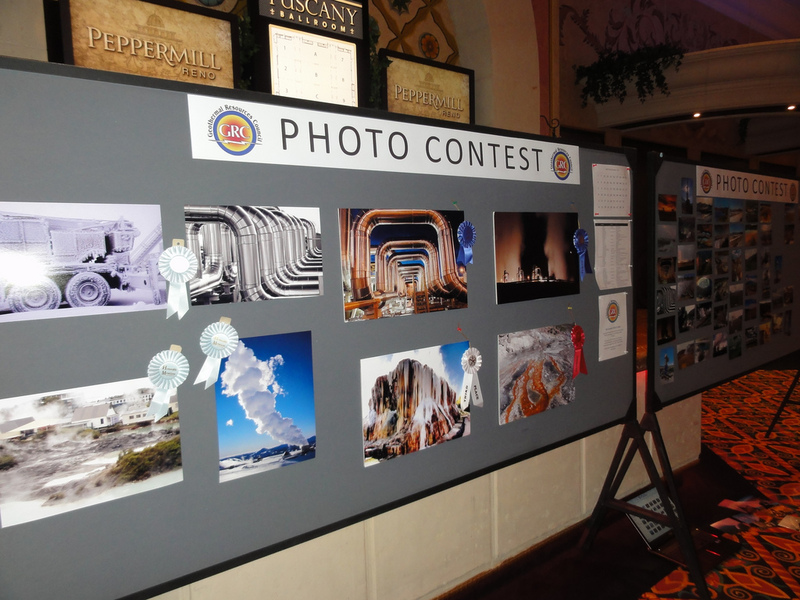 The deadline for proposal submissions is Jan. 31, 2013. More information is available here. Nevada Geothermal Power Inc. today announced results for the three months ended September 30, 2012. The report includes an update on the Blue Mountain project. The Company is continuing work with the mezzanine lender on the Blue Mountain project, EIG Global Energy Partners, to transfer NGP's ownership interest in the Blue Mountain project to EIG. This follows earlier breaches of the loan terms of the EIG loan. The transfer will result in a reduction of assets of approximately $80.3 million, and a reduction in liabilities of approximately $160.7 million (at September 30, 2012 values). NGP will continue as operator of the plant for a period of time to ensure a smooth transition. NGP and EIG are currently concluding negotiations. The remaining business will consist of the Company's exploration stage properties in Nevada, California and Oregon. Portland General Electric Company (PGE)'s recent request for proposals for renewable electric power generating resources has resulted in 64 bids representing 39 distinct generating projects with a combined nameplate capacity of 4,450 megawatts. These include a benchmark proposal submitted by PGE in late October. Third-party bids were due Nov. 13, 2012. The bids received include a mix of projects to be sold to PGE pursuant to asset purchase agreements and projects that would sell power to the utility under long-term power purchase agreements. While a substantial majority of the proposals in the bid pool are based on wind power, other renewable technologies including geothermal, biomass, biogas, hydro and solar are also represented. PGE is currently evaluating the bids received, and expects to develop a final short list of bids for negotiation by the end of first quarter 2013. Names of the bidders and other details of their proposals will remain confidential. Final selections are expected within the first half of 2013. China International Investment Stock Ltd, has signed a contract to invest US$415 million in building a paper mill and geothermal power plant in Croatia with local firm PAN Papirna Industrija. The paper and cellulose-making facility and a geothermal plant to supply power will be built in Slatina, west Croatia, Winston Chia, CEO of the Chinese group, said in Zagreb. The Qingdao-based firm will hold a 70 percent stake in the investment, while the rest will be held by PAN Papirna. By the end of 2013, the Klamath Basin could be one of four sites in the world using a new type of geothermal energy. Final drilling to check temperatures and potential kilowatts took place last week for two possible plants. One is in the Lower Klamath National Wildlife Refuge. The other is situated a bit north on private land owned by Mike Noonan, a Klamath Basin farmer and president of Entiv Organic Energy, a company formed to pursue such projects. A report has claimed that heating British homes with geothermal energy from Icelandic volcanoes is a very plausible concept. Experts told reporters from The Daily Telegraph that the UK government is seeking to pipe Iceland’s geothermal energy across the North Atlantic and to the UK. The effort would entail the construction of the most extensive seabed power cable in the world, although the costs would be similar to those required for new developments in nuclear energy, according to the report. Foreign investment amounting to $180 million will kick start the 49 MWe Biliran geothermal project on the island province of Biliran, scheduled to begin drilling in April 2013. “The amount will be downloaded in a Singapore bank,” Nilo A. Apuada, the site manager of Orka Energy Philippines Inc. assured the members of the Sangguniang Bayan (SB) of Naval, barangay officials, heads of concerned agencies, and the head of a people’s organization present during a regular session held in Barangay Libtong. Panax Geothermal has appointed director Stephen Evans as its new chairman replacing Greg Martyr who retired at the end of its Annual General Meeting on November 19. Evans is the managing director of Adelaide based accounting firm RJC Evans & Co and has more than 25 years experience in advising small, medium and large corporations in relation to tax, accounting, financial and business matters. Geodynamics has achieved higher flow rates and flowing pressure with the second open flow test at its Habanero-4 geothermal well in the Cooper Basin. The test achieved an average production rate of 38 kilograms per second (kg/s) at a flowing pressure of over 4,200 psi after local stimulation was completed. The local stimulation saw 1,900 cubic meters of water pumped into the well over a two day period. Major stimulation has now commenced to extend and enhance the known fracture zone. This is expected to be completed in early December. Lack of technical expertise might impede East Africa from fully exploiting the huge geothermal potential inherent in the region. The larger East African region has an estimated geothermal potential of 15,000 megawatts, but remains largely untapped due to a number of challenges, including inadequate human resource skills. Other challenges include the capital-intensive nature of exploring for geothermal energy. Energy Minister Kiraitu Murungi said despite ambitious plans by governments in the region to exploit geothermal energy, limited skills in the region might hinder plans to put up electricity generation plants that would utilize the vast geothermal resources. The minister noted that there have been efforts to cushion Government and investors from the high front-end costs, but added that exploiting geothermal energy would remain expensive if countries in the region continued relying on expatriate skills. Tanzania plans to bore its first geothermal power plant next year and increase renewable energy, it was announced mid-week. The first 100 MWe of geothermal power is likely to be obtainable by 2016. Drilling for the second phase is due to start within the next two years and would become available by 2018. Reuters reports that Tanzania is racing to introduce a mix of power generation to cut reliance on hydroelectric dams that are vulnerable to erratic rainfall, and also aims to produce power from natural gas following big discoveries offshore. Petratherm continued to distinguish itself as a leader in the geothermal sector, achieving important milestones despite a challenging and uncertain market and political environment. The company's flagship Paralana geothermal energy project continued to take centre stage as the company prepared for the creation of an underground reservoir. The project, which remains one of only two active geothermal projects in Australia, is amongst the most advanced engineered geothermal projects in the world. A combination of joint venture funding and additional funds sourced from the equity markets was used to progress the company's portfolio of projects and work programs. The highlights of the year, was success of the fracture stimulation and flow test undertaken at Paralana in July and October 2011, respectively. Power utility Kenya Electricity Generating Company (KenGen) has decided to resort to public–private partnerships (PPPs) in implementing mega geothermal projects owing to the colossal financial resources required. The company has realised that raising a staggering $4.5-billion to finance power plants to generate an estimated 1200 MWe in the Olkaria field would be a tall order. “KenGen plans to develop up to 560 MWe of geothermal power plants at the Olkaria field in phases of 140 MWe each through PPPs,” the company says. KenGen says the partnerships it is seeking will take the form of joint ventures (where the partner would be the majority shareholder) or energy conversion agreements (where KenGen would provide steam to a build, own, operate and transfer contractor). In both arrangements, the successful companies that would be selected through a competitive tendering process would be required to design, finance, supply, construct and operate the power plant for 10 to 20 years. The GDC CEO Silas Simiyu said this is part of the Private-public partnership. He said GDC will benefit from the talent at the university while experts at the electricity generating company will give lectures to students during weekends. Simiyu, who was accompanied by senior lecturers and university board members, said Kenya will have to generate more power to achieve vision 2030. On paper, the potential for geothermal energy in Australia is staggering. Government data suggests that using just one per cent of our hot rocks to generate power could meet Australia's energy needs for 26,000 years. But for now it seems the hot rock industry has gone cold. The number of clean energy U.S. patents granted in a quarter has reached a new high in the second quarter of 2012, according to the Clean Energy Patent Growth Index. The second quarter's 786 patents topped the first quarter total of 694, making it the highest tally in any quarter since the firm of Heslin Rothenberg Farley & Mesiti P.C. began tracking clean energy patents in 2002. However, patents granted for geothermal technology grew only slightly. Only two were granted in the second quarter. The Department of Energy Geothermal Technologies Office (GTO) has selected the date and location for its 2013 Peer Review. If you are a DOE award recipient or are interested in attending this year’s event, please mark your calendar for April 22nd-26th, 2013. The event will be held in Denver, CO. The GTO will be sending out additional information (including room block and PI presentation instructions) on this event in the coming months. Geodynamics Limited has announced that it has entered into a two stage earn-in and joint operating agreement with Kentor Energy Pty Ltd, a subsidiary of Kentor Gold Ltd, to acquire up to 70% interest in a conventional geothermal power supply project in the Solomon Islands. Under the terms of the agreement, Geodynamics is entitled to earn an initial 25% interest in the Savo Island Geothermal Power Project following the completion of initial geophysical studies to determine target locations for a drilling program. Geodynamics has the right to earn an additional 45% interest through exploration drilling and the completion of a feasibility study for the project. The project is located on the island of Savo, 14 km off the north coast of Guadalcanal where a volcanic based geothermal resource has been identified. Preliminary exploration studies indicate that the island could host a substantial geothermal reservoir at temperatures in excess of 260°C and at depths of 500 - 1,500 m.
Hellisheidi Geothermal Powerplant in Action! Kenyans will start paying lower electricity tariffs starting next year when enormous cheaply generated geothermal power is connected to the national grid. Geothermal Development Corporation (GDC) general manager Peter Omenda says KenGen will connect 280 MWe of geothermal power to the national grid next year with GDC injecting another 400 MWe in 2014. Calpine Corp. will hold an informational presentation and discussion for the community this month regarding its application for a time extension of its Davies Estate Geothermal Well Development. The meeting will take place beginning at 6 p.m. Tuesday, Nov. 27, at the Calpine Geothermal Visitor Center, 15500 Central Park Road, Middletown. Calpine filed an application for a time extension for this permit with the Lake County Community Development Department on Sept. 20. The use permit, UP 83-36, covers several existing wells on an existing well pad in the steamfield area, which is located about three-quarters of a mile south of Anderson Springs at 20055 Foard Road. The Lake County Planning Commission will hold a public hearing on the Calpine’s application, UPX 12-01, at 9:25 a.m. Thursday, Dec. 13. Stakeholders in the East Africa geothermal energy sector are exploring solutions to reduce lead times for developing geothermal projects, while trying to determine how to leverage investments to stimulate the growth of the industry. The African Rift Geothermal (ARGeo) Development Facility, which is funded by the UNEP Global Environment Facility and other development partners, is hosting a three-day geothermal conference starting on Wednesday that will give investors a chance to see the opportunities available in the generation and supply industry. The World Resources Institute just released analysis finding there are currently nearly 1,200 proposed coal plants around the globe. If implemented this would bring installed capacity of 1.4 million MW, or almost four times the current capacity of all coal-fired plants in the United States. Our analysis finds that 483 power companies have proposed 1,199 new coal-fired plants across 59 countries. Most of these proposed projects are in developing nations—mainly China and India, which together account for 76 percent of the proposed capacity. New coal-fired plants are also proposed in some developing countries with currently limited or no domestic coal production, such as Cambodia and Senegal. The United States ranks 7th among countries, with 36 proposed plants with more than 20,000 MW of capacity. KenGen is stepping up production of electricity from portable geothermal plants in a move that is set to boost the country’s power supply and raise the company’s earnings. KenGen plans to build 14 temporary geothermal plants with a combined capacity of 65 MWe by 2014 after completing the piloting of a 5 MWe portable station late last year. 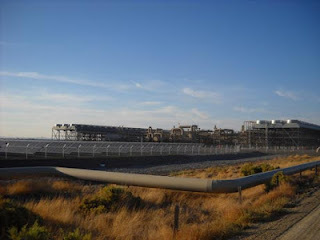 Construction of a typical geothermal plant takes between four to 10 years, but portable plants commonly known as wellheads take about six months. Senator Adam Kline (D-Seattle) could potentially reintroduce a bill in Washington State's upcoming legislative session to modify the state's geothermal laws. The Washington State legislature is considering potential changes to the state's geothermal law (Chapter 78.60 Revised Code of Washington), following up on last year's effort. The bill seeks to bring Washington's law in line with federal laws and other states' laws, as part of an effort to promote geothermal development in the state. Two Hawaii companies, Innovations Development Group and Avalor Energy Corp., are eyeing property in the Big Island's Puna district in preparation for bidding on a request for proposals for up to 50 MWe of geothermal power that Hawaii Electric Light Co. is expected to issue by early next year. The Hawaii Tribune-Herald reports Innovations Development Group, which formed Huena Power in 2011 in preparation for the RFP, has identified more than 400 acres of land about two miles from Puna Geothermal Venture's 38 MWe plant outside Pahoa, while Avalor Energy Corp. is reportedly considering leasing land about two miles from Leilani Estates. The newspaper reports companies are required to have property secured before submitting proposals. British homes could be running on electricity generated from the power of Icelandic volcanoes within a decade. It’s no, um, pipe dream. The geothermal energy, piped to Britain through the world’s longest sea-bed power cable, would be no more expensive than that produced by the next generation of nuclear power plants, according to the man overseeing the project. El Consejo “Geothermal Resources Council” te invita a presentar tu último trabajo técnico dentro de los campos de investigación, exploración, desarrollo y utilización geotérmica en la 37ª Reunión Anual GRC. Cualquier persona interesada deberá presentar un documento del proyecto completo. La participación internacional es clave para el éxito de los eventos realizados por parte del GRC y animan a los investigadores geotérmicos y expertos de todo el mundo a presentar los trabajos que consideren oportunos. La fecha límite para la presentación es el 3 de mayo del 2013. U.S. Geothermal Inc., announced today that on November 16, 2012 its wholly owned subsidiary, USG Oregon LLC, achieved commercial operation at the Neal Hot Springs project located near Vale, Oregon. Under the terms of the project Power Purchase Agreement, electricity generated by the three module power plant will now be sold to Idaho Power Company at the rate of $96.00 per megawatt-hour for the remainder of 2012 and at the rate of $99.00 per megawatt-hour for the power produced during 2013. Currently, two power modules are operating on a continuous basis, producing approximately 16 to 18 net megawatts per hour. The third power module is scheduled to begin commissioning and start-up activities during the last week of November. With three modules operating at full capacity the project is expected to generate between 165,000 to 185,000 megawatt-hours of electricity each year. The WFES and ADIREC are held in close cooperation and will bring together energy stakeholders, representatives and decision makers of governments, project developers, industry representatives, banks and others. During the WFES 2013, Ernst & Young, supported by Bloomberg New Energy Finance, offers entrepreneurs, project developers and financiers networking opportunities and a 6 sqm booth at the Project and Finance Village at the price of $1,000USD. Additional benefits include accommodation, free transfers in Abu Dhabi, access to networking receptions, etc. Qualifying criteria, additional services provided and other application requirements are described in the documents below. The application deadline is December 6, 2012. If you wish you can cc your application to Thomas.Christiansen@de.ey.com and Marietta.Sander@hs-bochum.de. A Draft Environmental Impact Statement (EIS)/Environmental Impact Report (EIR) for the proposed Casa Diablo IV Geothermal Development Project near the Town of Mammoth Lakes in Mono County, California has been prepared. The public comment period is now opened. The applicant's proposed action includes the construction of a new 33 MWe binary geothermal power plant, which would be the fourth geothermal plant in the vicinity; up to 16 wells for production and reinjection, drilled to an approximate 1,600- to 2,500-ft depth; and associated pipelines. A 650-ft long transmission line is proposed to interconnect the new power plant to the existing Southern California Edison (SCE) substation at Substation Road. The Geothermal Resources Council invites you to present your latest technical work in geothermal research, exploration, development and utilization at the GRC's 37th Annual Meeting. Anyone who wants to present at the GRC Annual Meeting must submit a completed draft paper. Successful selection to present at the GRC 2013 Annual Meeting is prestigious and recognizes the presenter as a top industry expert. 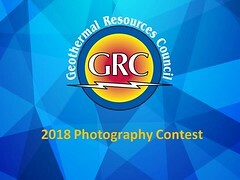 International participation is key to the success of the GRC Annual Meeting technical programs and we encourage geothermal researchers and experts from around the world to submit their work for consideration. Draft Paper submission deadline is May 3, 2013. Miles Ferris, director of the Santa Rosa city Utilities Department, steps down on Dec. 12. He is responsible for managing the ground-breaking project where the city's wastewater is disposed by pumping it through a $205 million pipeline to The Geysers where 13 billion gallons is injected into the geothermal fields annually to create renewable energy. Ferris called The Geysers one of the “finest disposal projects imaginable” said praised Santa Rosa for doing the right thing. After a couple years of chilly investor sentiment, geothermal stocks are starting to warm up. The sector has been so beaten down that the small exploration and production players seem to have lost what little following they had, and so recent good news has gone mostly unnoticed. It’s hard to generalize from one geothermal company to another. 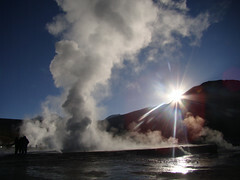 Each geothermal project is unique, not only because of the local electricity markets and legal structures, but also because of the idiosyncrasies of each project’s geology and chemistry. Geothermal developer stocks have remained at beaten-down levels for over a year now, despite the companies making significant progress on their projects. While geothermal development is a much riskier business than more predictable development of other types of renewables, all of these developers are trading at a fraction of book value, which more than compensates for the risks involved, especially when held as part of a diversified portfolio. Brandon Iglesias of New Orleans, a 2012 graduate of the DOE/EERE National Geothermal Academy, has been selected to participate in the Ewing Marion Kauffman Foundation 2013 Global Scholars Program. The 6-year-old program provides participants a six-month educational immersion in the field of entrepreneurship. Brandon is a student member of the GRC and attended the 36th GRC Annual Meeting in Reno, Nevada and presented a poster on ReactwellTM’s Underground Geothermal Biomass-to-Oil and Bioproduct Platform vs. Geothermal Power Production. He earned a master’s degrees in finance and business administration from Tulane University in New Orleans. U.S. graduates are included for just the second time in the program’s history. "This is the power plant," said Bernie Karl. "It's a geothermal power plant." Karl is the proud creator of a geothermal power plant at Chena Hot Springs, just outside of Fairbanks. "Behind us are the O.R.C's: organic rank and cycle," said Karl, pointing to three giant turbines that power a hydroponic greenhouse, the hot springs and 44 buildings that make up the resort. "What we are doing is taking 165 degree water and making history. First time in the history of man." VIDEO: 3:02 Minutes. It’s been a tough week for the geothermal industry. In fact, it’s been a tough year: the two biggest utility supporters, Energy Australia and Origin Energy, have walked away from the sector, and the share price of nearly all the stocks remains in the doldrums. Dreams have either been shattered, or put on hold. Last week, the federal government’s Energy White paper officially downgraded the geothermal sector from its status of Great Clean Energy Hope to just another option in the middle distance. Where once geothermal was expected to compete with wind for financing for projects before 2020 in the Renewable Energy Target, and in late 2011 was still predicted by the draft energy white paper to provide 23 per cent of the country’s electricity needs by 2050, now it is expected to be barely visible before 2020, and may only provide 9 per cent of total electricity by 2050. Energy Development Corporation (EDC) has said that it posted a net income of P8.6 billion in the first nine months of 2012, a turnaround from the P488-million net loss it incurred a year ago. According to EDC, the company’s improved financial performance in the first three quarters of the year could be attributed mainly to higher electricity revenues of its subsidiaries and the absence of the P5-billion impairment loss on the property, plant and equipment of the 49 MWe Northern Negros Geothermal power facility, which was recognized in June 2011. NNGP was shut down last year due mainly to a mismatch in the geothermal resources in the area and the capacity that can be generated by the facility. The equipment will be moved to another area within the island that can support a higher generation capacity, while a smaller facility may be put in place of the NNGP. Revenues from the sale of electricity alone rose by 21 percent to P21.4 billion in the first three quarters of 2012 from P17.7 billion during the same period a year ago due to the better performance by Green Core Geothermal Inc., the project company managing the 305 MWe Palinpinon-Tongonan power plants, and FG Hydro.